Everyone needs a cheat day. A day to eat like it’s 1999. 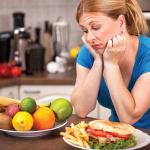 Ok, well maybe not that dramatic, but fit folks need a respite; a day to indulge …but not too, too much. Fit941 asked a few local eateries about how they approach healthy eating and what dish from their menu they’d suggest for a cheat day dish. Who says you can’t eat healthy at a Sports Bar? 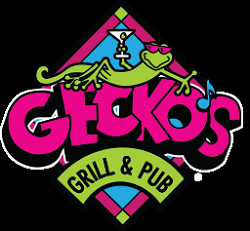 Gecko’s Grill & Pub is living proof that the paradigm has changed, and for the better! At any of six locations, athletes can fuel up with healthful options while enjoying a little recovery, relaxation or even a cheat day at a Sports Bar perennially voted a local favorite. The Gecko’s mission is to provide exceptional hospitality, fresh local fare with a gourmet twist, and a menu that is accessible to everyone. Gecko’s has long been a partner with Honeyside Farms, a family-owned sustainable farm, which coordinates crop plantings to supply our restaurants with their delicious produce. Grower Tiffany Bailey and her father, Jack Bispham, both studied Agriculture at UF. Together they steward the land to provide high quality and delicious seasonal fruits & vegetables. Gecko’s also partners with family-owned Three Suns Ranch in Punta Gorda, which provides our restaurants with 100% grass fed Bison. Three Suns made the commitment to raise only natural, hormone-free, grass-fed meats for discriminating consumers. Nutritionally, this Bison offers more protein, omega-3 & nutrients with fewer calories and less fat. Also, Dakin Dairy Farm in Parrish which supplies our dairy products at all six Gecko’s locations, and at our Better Burger concept, S’macks Burgers & Shakes. Before “Farm to Fork” was coined; Gecko’s was already setting a healthy table. We’re thinking the Bison Meat Loaf. Yum! Specializing in tomato soup and grilled cheese, Tom+Chee is known for its fresh ingredients and quirky takes on comfort food classics. From the vegetarian Hippy+Chee to the offbeat Grilled Cheese Donut, Tom+Chee offers more than 20 grilled cheese sandwiches, plus fresh salads, three versions of tomato soup, and an endless array of specials. The entire menu is made fresh, with no fryers, freezers or microwaves, and offers a variety of vegetarian, vegan and gluten-free options. This menu is fun, full of fresh ingredients, and offers flavor combinations you won’t find anywhere else. It’s comfort food for the kid at heart. 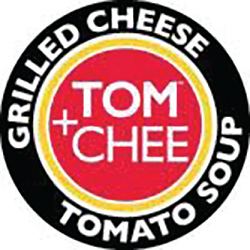 Tom+Chee suggest their signature Tom+Chee Grilled Cheese on white bread with cheddar, mozzarella, garlic seasoning and diced tomatoes. Or maybe the Hippy Chee, wheat bread, cheddar cheese, garlic hummus, diced tomatoes, cucumbers and mixed greens. The Swiss and ‘Shroom is made on pumpernickel rye with Swiss, grilled mushrooms and onions. Add a super healthy Green Goat salad made of mixed greens, toasted almonds, cranberries, goat cheese and a white balsamic dressing and you’re all set. A cheat day dinner while enjoying a stunning Little Sarasota Bay sunset sound good? Evie’s Spanish Point Restaurant and Tiki Bar offers a full tropical menu packed with fresh, Florida seafood and produce. There are myriad delicious choices for a perfect cheat day dish. Try Evie’s Spanish Point Restaurant and Tiki Bar’s Shrimp Tacos. Created with Florida-fresh cabbage, shrimp, and tomatoes, covered with shredded cheese and a sour cream crema, which compliments the taco with perfect balance of lime and cilantro all nestled in a slightly warm flour tortilla. Be forewarned: the serving size is huge; it comes with three overstuffed tacos and fresh made-to-order tortilla chips and homemade local salsa. What better reward for a cheat day? If you are at another Evie’s location, looking for a reward for all your good meal decisions, try any Evie’s location’s pizza with any topping combo you can create or use one of ours; an awesome cheat. Visit Evie’s Taverns at 4735 Bee Ridge Road, 5897 Whitfield Ave., and 1560 Main St. in Sarasota; in Bradenton, at 561 53rd Ave. W. and in Ellenton at 5955 Factory Shops Blvd., Office Bar SRQ at 1989 Ringling Blvd., and if your cheat day needs to feel like Mom’s home cooking, check out White Buffalo Saloon with its new ‘good ol’ home-cooked’ menu options, at 5377 McIntosh Road in Sarasota.